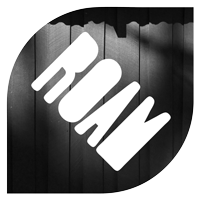 ROAM Architects is an architecture and design studio established by Amanda Robinson and Rod Allan. We formed ROAM Architects to collaborate with great clients in an interactive, friendly and positive way. Our goal is to make a firm we would want to work with. We value architecture which is sustainable, exciting, delightful and enriching. Good architecture connects people – it starts with a conversation, and then it gets exciting. Well designed space enhances the quality of life for the occupants. No matter what the function, house, school, office, retail and landscape if the space is well designed people within it thrive. Architecture and the space around it need to be tailored to respond to the people within. It is our role to guide our clients through the processes to realise their project. What might at first seem to be daunting, becomes manageable and enjoyable when it is split into clearly defined stages. We guide our clients through each stage with regular face to face meetings so we can present the design as it progresses and check to make sure we have interpreted your feedback correctly. Before we put pen to paper, we take the time to understand the fundamentals of your project. We start with your brief, aspirations, and budget. We also investigate the background issues including site services, planning & development requirements and any other restrictions which may apply. During this phase we work with you to develop the design. In the early stages, we develop a series of options which test different ways to meet your brief on the site. In collaboration with you, these options merge into a main concept design. Once a main option is agreed we continue to develop and refine the design. We use sketches, plans, 3D views, computer fly throughs & reference images to bring the design to life. By the end of the design phase most of the key decisions will have been made. If your project needs planning approval, then drawings can be prepared and submitted to council at this time. This phase is where we prepare all of the drawings and written documentation necessary for a builder to accurately price and build the project. With most of the big picture decisions already agreed, we will discuss the more detailed aspects such as interior finishes and fittings. The delivery phase is all about construction. Referred to as Contract Administration, this is where we handle all communication with the contractor on your behalf. This includes answering queries, certifying payments and inspecting the quality of the work. We know you may not have the time or the desire to deal with the day to day aspects of construction which is where we are happy to help.